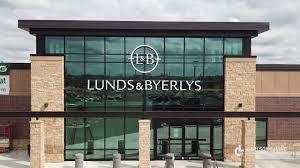 Lunds & Byerlys announced Tuesday that it will open a new store in Apple Valley, its 28th store in Minnesota. "We're excited to be a part of Apple Valley's vibrant growth and development," Tres Lund, CEO of Lunds & Byerlys, said in a statement. The site at Pilot Knob Rd. and 155th St. West won't open until 2021. "The site we are purchasing is currently a gravel pit that will need a significant amount of infrastructure and site development," said spokesman Aaron Sorenson regarding the delay. In the past five years, Lunds has added stores in Prior Lake (2013, a former Village Market), Downtown St. Paul (2014), Woodbury and Eden Prairie (2014, former Roundy's stores), Glen Lake Minnetonka (2015, former Glen Lake's Market), and White Bear Lake (2018). Lunds and Byerlys fills the premium supermarket mix along with Kowalski's and Whole Foods. Its expansion comes at a time when mid-line grocer Hy-Vee and discounter Aldi are aggressively adding stores. Hy-Vee just opened its 10th Twin Cities store in Plymouth, a former Cub store. In 2019 it plans to open two new stores in Maple Grove and Spring Lake Park. Aldi added five metro stores this year and plans eight more in 2019. Nest year will likely bring a big shakeup in the Twin Cities supermarket landscape as Supervalu's new owner, United Natural Foods Inc. of Providence, R.I., hopes to sell the stores to one buyer.